I'm not the end all (not even close) for all things firearm and concealed carry. However, I've been doing this for over a decade and am lucky to rub shoulders with some of the best of the best and this is one of those soap box issue articles that I'm sure I'll regret writing at some point in the future (not unlike my rant about small of back backward carry) but for right now I just can't help myself. Personally, I just DO NOT UNDERSTAND GUN DISABLING PRODUCTS. It isn't that these products don't have a place (as I will cover later) but for the greater part I think they are used poorly and in situations where they are not the best tool for the job. What Are These Disabling Devices I'm Talking About? I am referring to any product that when installed onto the gun will prevent the gun from being fired until the product is removed or deactivated. For many years the traditional products in this category were the barrel locks and trigger locks. In more recent years we have seen some new approaches to this same concept. 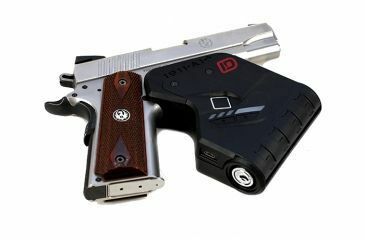 Since keys are generally thought to be less than ideal for any firearm, security device companies are now making things that just require knowing a combination or even scanning a fingerprint to disengage a biometric lock. I remember the first one I was exposed to: Saf T Lok sent me a replacement magazine for my Glock in 2014. I approached them and asked for samples. It sounded interesting but when it arrived and I put it to use had to ask myself … when would I use this? Basically, the idea is that in order to “unlock” the gun to allow firing one must push those two buttons in the correct sequence the correct number of times. Then presto, your gun is functional again. More recently I've seen greater technology in this arena. For example, Identilock made me stop in my tracks at SHOT Show 2016 when I saw their product. 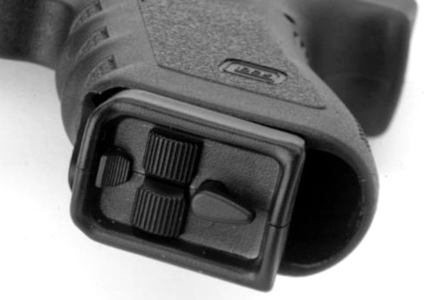 Basically, a really big trigger lock that disengages and falls off after you scan your fingerprint on the sensor just below the trigger guard. Now, even more recently I'm getting questions from people about the Zore Gun Lock which goes into the chamber of the weapon and requires turning a dial the correct number of times in the right sequence to disengage. 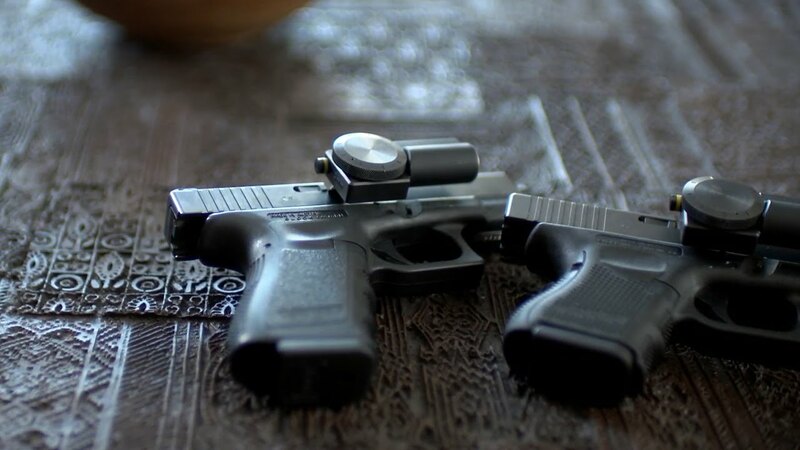 It comes with added features that allow you to be notified on your phone when the gun is disturbed or tampered with. My thoughts on all of these products? There are very few situations where they make any sense to me in use and for the most part, they can create a dangerous pattern of behavior in American Gun Owners who see them as an end-all solution to firearm safety and secure storage. These tools should not be used for long term storage or the staging of a firearm for deployment in an emergency! When we store firearms for the long term we don't want the guns to be accessible for use by unauthorized persons but equally so we also want to protect that firearm from theft, fire, flood, and other potential mishaps. These gun disabling devices will prevent the gun from firing but NOT from being stolen or damaged. That is what gun safes are for. Some safes are better than others at fulfilling those purposes but inherently a safe is meant to protect the gun from being accessible or removable. As to the staging of a firearm for deployment, I equally can't wrap my head around using these tools. If I set the gun down on my nightstand or in a drawer or wherever you think it acceptable to stage a firearm for immediate access, then I want it for IMMEDIATE ACCESS. This means that I should either stage it ready to grab and deploy (time is of the essence and unlocking something is a bad idea) OR, and this is what I feel very strongly about, I should stage the firearm in a secure safe that is fast and easy to open. If you feel that time is critical but you still want SOMETHING to prevent unauthorized use then get a quick access gun safe. 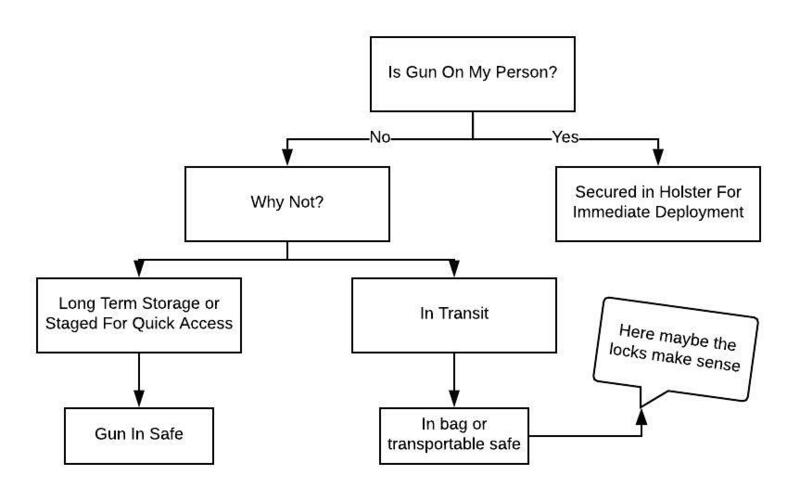 An overly simplified version of my brain when it comes to firearm storage and staging. There are certainly a few exceptions that don't fit nicely into my chart but this gives you a rough idea of how I feel about it. As you can see from my above chart, there are only a few situations when these gun disabling devices make sense. To be clear, I'm not against them as a product category as much as I'm concerned with the way they are being marketed to the consumer and the ways consumers may choose to use them. For me, I do like these tools for situations when my firearm(s) is in transit. Often when I go to the gun range, I may take 8 to 10 different firearms and when I do so I don't have steel handgun vaults installed in my vehicle for each one. That would be cost prohibitive for many and is just not practical. Even if I could pull that off at some point I have to walk with my firearms from the home to the vehicle and from the vehicle onto the range. So when in transit, installing a device onto the gun that disables it or otherwise prevents it from being fired makes complete sense to me. I asked my compadre Riley Bowman when, if ever, he uses these products. He said when he is backpacking with his young children and unable to take a handgun vault due to the lack of space or weight, he likes to have one of these tools available to him in order to have a method to protect the firearm from unauthorized use during the night in the tent. But, as far as I'm concerned, situations like the above are the only times these products make sense. This product category isn't inherently bad even though some of them are significantly better than others. What is concerning is that these companies market their products to be solutions for long terms storage and staging of a firearm. In my opinion, they shouldn't be used for either of those things. Let me know your thoughts in the comments below! Jacob, great article & no I’m not going to rant against your opinions. I totally agree about the lack of need for these gun disabling devices. It’s like keeping spare tires for a truck I no longer own. Most of my guns are safe kept. However, there are multiple firearms I keep in my home that only myself & immediate family knows the location of. These are dispersed where at least 1 is quickly available wherever I am. In my home, if you were to happen to find one of these, you can be assured that it is fully loaded with a live round in the chamber. I believe that in “most” cases (not all), children can be taught respect for firearms if they aren’t raised in ignorance to the hazards of guns in the wrong hands. Our kids have always known that firearms are tools of protection & enjoyment. Another aspect is, if I feel like I should disable my weapons because of unauthorized use, I probably have far to many strangers in my abode! It is my house & if I can’t trust the people in it, someone has to go.